India is believed to have over one million premature deliveries every year. 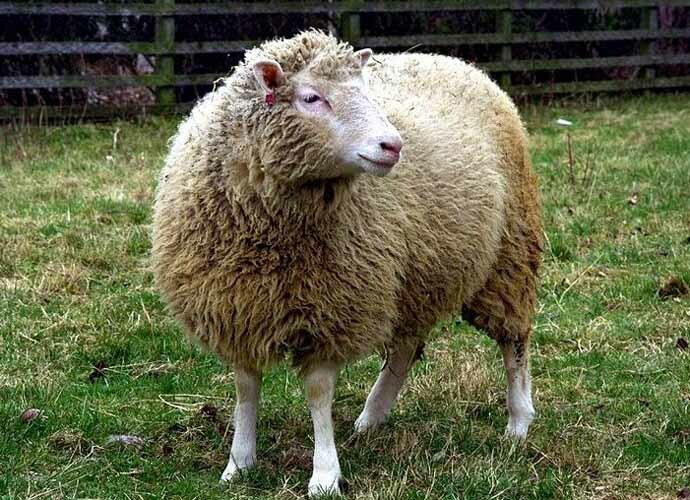 A sheep named Dolly hit the headlines in 1996 when she became the first cloned mammal on this earth. Dolly paved the way for more cloned mammals. This sheep created by scientists in Scotland did not live long but gave birth to six offspring in her lifetime. It was undoubtedly a significant scientific breakthrough, nothing short of a miracle. However, it raised quite a furore as it was thought this technology could be misused to create so-called "designer" babies. Sitting in my office some two decades later, my eyes glanced through a piece in Nature, which gave me a sense of déjà vu. The scientists at Philadelphia in the US have created another miracle. The researchers at the Children's Hospital have come up with an artificial womb. Until now, premature babies were put on ventilators in incubators, but researchers have now found a better option. The womb that they have created is a fluid-filled transparent container in which the foetus would be able to grow. The scientists have successfully tested the womb with lamb foetuses. Dr Emily Partridge, one of the research scientists, explained the team's work. The scientists had placed extremely tiny foetuses inside the bag (womb), and in about four weeks' time the foetus was found to have grown with their wool, breathing and swimming in it with open eyes. In reality, what they did was to create a fluid-filled transparent container to simulate how foetuses floated in the amniotic fluid inside the uterus and attached it to a mechanical placenta that supplies oxygen to the blood. "Our system could prevent the severe morbidity suffered by extremely premature infants by potentially offering a medical technology that does not currently exist," explained the study leader Dr Alan W Flake. Flake is a foetal surgeon and director of the Center for Fetal Research at the Children's Hospital of Philadelphia. Though happy with their findings, the researchers still give human testing a few years. One of the causes of infant mortality is premature birth. Those that are born before 26 weeks are critical and often born with disabilities. One of the principal organs affected by premature birth is the lungs. 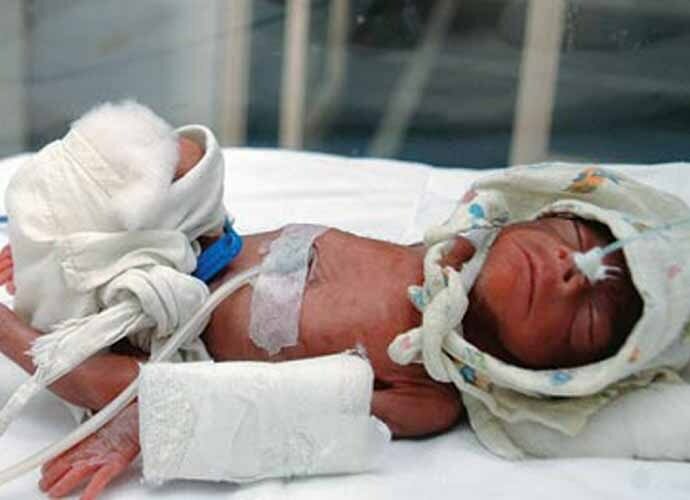 The lungs are one of the last organs to mature in the womb, and because of this, many premature babies, or preemies as they are known, spend the first few weeks of their lives on ventilators. The latest research, however, gives doctors hope. The artificial womb can be seen as a bridge between mother's womb and the outside world as the experimental team observed. The team has conducted trials on embryos of lambs of different age groups and found that their organ development has been normal. The breakthrough, however, comes with its share of controversies. The chances of child survival go up. The World Health Organisation estimates that about 15 million babies are preterm each year across the world. India is believed to have over one million premature deliveries every year. The precise number is unknown as relevant statistics are unavailable from poor and developing countries, which have the maximum number of preterm births compared to the rich and developed ones. The actual numbers may be much more. In case of complicated pregnancies, both the mother and the child get relief if this system gets incorporated in medical science. In cases of complicated pregnancies where the mother is unable to carry the baby full-term and is likely to suffer miscarriage this "bio-bag" system can work wonders. Likewise, if the mother has a life-threatening disease or suffers from other health disorders like high blood pressure, diabetes or preeclampsia and the baby is at risk, the child has better chances of surviving in the artificial womb. As in this case, the ethical issues that relate to the preemies being put in "bio-bag" exists too. Concerns emerge from the fact that human embryo can be artificially grown and younger preemies may be used to create babies. This might sound like fantasy for now, but given it may not be so in the next hundred years. As of now, this technology is too premature to be used for humans. More research and trials are needed before a suitable iteration can be developed for human preemies. The "bio-bag" breakthrough can have a significant impact on human society, and this can be ensured if the goals are transparent and ethical. It will then be a boon for many parents.